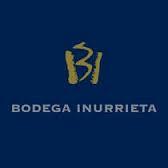 The name of Inurrieta refers to the lands where our family ancestors grew vines almost a century ago. 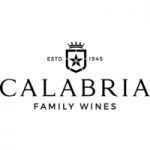 The new generations chose this name as a tribute to our loved ones who had such a passion for wine. Discrimination and remembrance motivated the proprietors to seek a privileged and incomparable spot to cultivate their vines. The hours of sunlight, the quality of the soil, the layout of the land, the wind and the presence of the river were all determining factors when it came to choosing this spot so keenly sought after. Reviving the traditions with which they had grown up made this project possible, which began in 1999 with the planting of the first vines and has now come to fruition with Bodega Inurrieta wines that speak for themselves. Integral control of the whole process is rounded off at the bodega, which covers an area of 6,000 m2. Practical, hygiene, œnological and operational criteria were all followed in its design. The bodega has a capacity to hold over 4 million litres of wine between tanks, bottles and the cask room. One of the most interesting places for visitors to Bodega Inurrieta is the imposing cask room, with temperature and humidity controls and air replenishment throughout the year. Here we can find five different kinds of cask: three of French oak and two of American oak, with the aim of obtaining the different nuances that each of the artisan coopers can contribute to our range of wines.